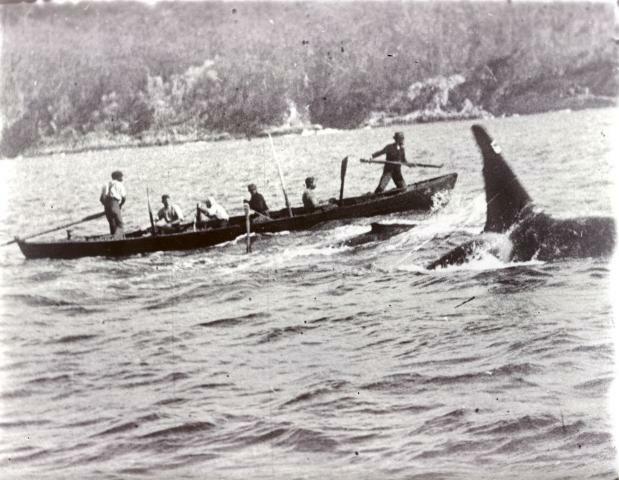 'Tom' and George in action in a still from the 1910 documentary film “Whalechase in Twofold Bay”. 'Tom' off South Head and Leatherjacket Bay (swimming right to left). His dorsal fin has a small knob on its trailing edge and a bend to his right. The Eden Killer Whale Museum offers visitors the chance to discover the intriguing story of the unique working relationship between the whalers and killer whales of Twofold Bay. 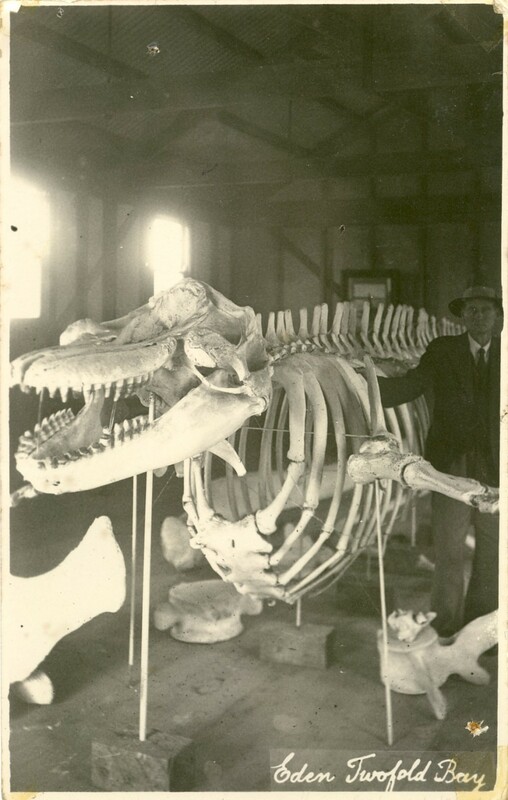 The skeleton of “Old Tom”, the most famous of the killer whales is on display as are artefacts of the shore-based whaling industry which operated in Eden from the early 1800’s through to the 1930’s. The EKWM was established in 1931 and overlooks the north arm of Twofold Bay. Visitors can take in the magnificent views from the deck and catch glimpses of migratory whales and seabirds as well as dolphins and seals. This is open during normal museum hours and has a large selection of museum-inspired gifts, souvenirs, books, apparel and DVDs. The library and research centre contains a large collection of maritime and local material. Research resources includes documents, photographs, maps, books, local newspapers, land records, cemetery records and more on the history of Eden and Twofold Bay district.